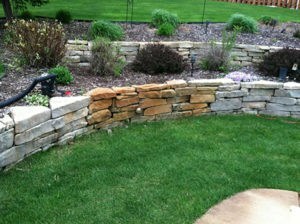 Many items around your property can get rusty, including lawn equipment, car parts, metal fencing, and rain chains. 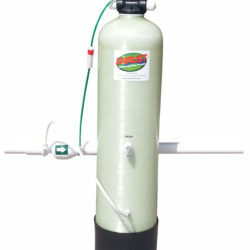 Additionally, if your home’s water contains a lot of iron, anything the water touches can get rust stains, including your driveway, plastic fencing, and lawn furniture. Rust can be a pain to remove, and you may be putting off dealing with it because you don’t want the backache that scrubbing will give you. However, delaying will just make the problem worse. 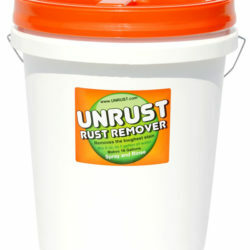 Fortunately, UnRust’s rust remover can solve your rust problem for good. 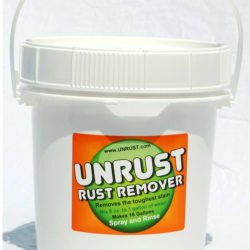 To use UnRust’s rust remover, just mix eight ounces of rust remover with one gallon of water. Then, apply the mixture to the rust or rust stain with a pump sprayer, mop, paint roller, or brush. Let the mixture sit for a few minutes, and then rinse the area to deactivate the rust remover. If the stain isn’t very stubborn, it should already be gone. If it is stubborn, just repeat the process a couple more times and watch it fade away. 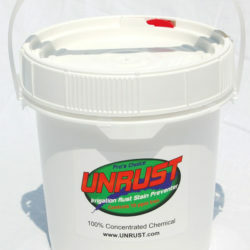 UnRust’s rust remover is safe for your lawn, so you don’t need to worry about removing rust stains on your driveway. 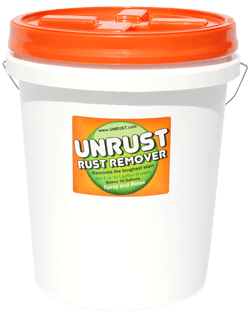 Additionally, the rust remover comes in the form of dry crystals, which makes it easier and safer to store than most liquid brands. 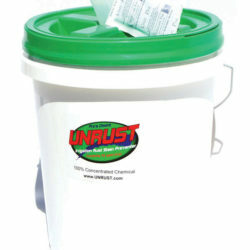 You can trust UnRust to give you the best solution available. 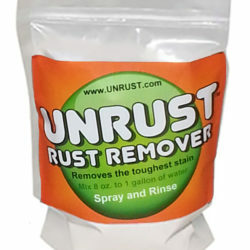 UNRUST Rust Remover is dry crystal. Mix with water to activate. After applying, rinse off with fresh water to deactivate it. 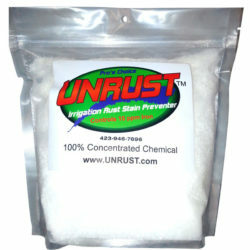 UNRUST Rust Remover is safe on all surfaces and will not kill grass or plant material. Stained concrete can restored back to like new. 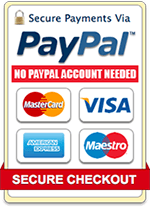 If you have tried CLR cleaner, naval jelly, or rust converter, try us.